Mr Olisa Agbakoba (SAN), a human rights activist, is a former President of the Nigerian Bar Association (NBA). In this interview, Agbakoba speaks on the suspension of the Chief Justice of Nigeria, Mr. Justice Walter Onnoghen, who is facing assets declaration charges, by President Muhammadu Buhari and the swearing-in of Justice Tanko Mohammed as Acting CJN. Specifically, he speaks on his petition to the National Judicial Council (NJC) to remove the Acting CJN on the grounds of the breach of the Constitution. What was your immediate reaction when you heard that criminal allegations had been filed against the Chief Justice of Nigeria at the CCT based on false assets declaration? My reaction was that it was not impossible because corruption in the judiciary has been a well established fact. So I was not surprised that allegations have been made against the Chief Justice of Nigeria. But I was concerned about the procedure, because I know that the procedure to deal with a judicial officer is different from that of dealing with that of a public officer. A judicial officer has a type of immunity. A judicial officer’s protection from being removed is in the Constitution and the protection that the officer has gives him confidence to do his job without fear or favour. Unfortunately, some judicial officers abuse the protection. I was worried that the federal government was making yet the same error that they have been making from the time they invaded judges’ houses in Abuja. Not because those judges are not guilty, that was not the issue, but because they cannot go breaking anybody’s house at 1am. What concerned me was, here we go again, in a government where President Muhammadu Buhari has professed to have no respect for human rights; he said so at the Nigerian Bar Association Annual General Meeting of 2018. Why does President Buhari not realize that he can’t fight corruption unless he follows due process? The problem with Onnoghen’s case has got nothing to do with whether he is corrupt or not. If probably he is corrupt, he should go and face the music. But the problem is that President Buhari is destroying the immunity of judicial officers. With the allegations that the CJN has huge sum of money in his accounts both in naira and hard currency, the point has inevitably been made that Onnoghen is corrupt and the entire judiciary stinks. What do you think? I don’t agree. You cannot say Onnoghen is corrupt when the Constitution presumes him to be innocent until proven otherwise. I cannot say you are corrupt, or a policeman walks into my door and says “Mr. Agbakoba, you are corrupt”. You know, for those who don’t have the constitutional memory, let me quickly restate the law of presumption of innocence. The law of presumption of innocence is to safeguard the state from harming you because there are people who still call upon you in the exercise of what they consider to be their public duty doing it the wrong way. You may or may not remember that during the troubled years of the military rule, in particular under General Abacha and in fact under IBB, they will come to your house, say you are guilty and if you are not there, they will carry your wife. So, that’s why due process is necessary. They cannot see the importance of due process until it happens to them. Those who say we don’t care about the process that Onoghen is corrupt, that he has confessed and therefore, overlook the importance of process, one day, it will happen to them. Even if I were to be caught shooting a person dead, the policeman can come and catch me but should not shoot me dead. He must take me through the process. He must take me to the police station, get me arrested, take my statement and charge me. I will be allowed to a defence counsel to make sure I have my say in court, period. So, I am not interested that Onnoghen is corrupt or not, but I am interested in every Nigerian is entitled to process. The question you should ask is “was process followed in his case?” It wasn’t. When all those judges were summoned from their bedroom at night, and taken to court, one of them, Nganjiwa, went to court and the court restated what the law is, which has been decided in many cases like that of the NJC Vs Okpene, an Appeal Court judge, who felt unfairly dismissed. He went to court and the court outlined the laid down procedure. What I am telling you now is still why you must always follow the rule of law. The Senate President, Senator Bukola Saraki, that is now shouting due process, he was the one that removed the Chief Judge of Kwara State without due process. He just yanked her out, went to the House of Assembly and rubberstamped it. Section 292 of the Constitution states how you can remove the CJN, the Chief Judge of a state, heads of other courts and officers of the High Court. It is clear. So if the President of democratic Nigeria, who had garnered 18 million votes, elected from 2015 to 2019, and has the temerity to want our votes again, and here he is, destroying the sacred documents that binds us together, it is like to me, a Catholic seeing you tearing his Bible. Maybe Christians don’t shout but if it is a Moslem, it will be different. When the President is destroying the Constitution that we have, it is a big issue. Even if you catch me stealing money, you can’t take me to jail. You must take me to court and also the proper court that is designated to deal with that type of wrong. That’s why we have different courts. If President Buhari really wants to fight corruption, he should have a strategy. His problem is that there is not a strategy. It is politicized. Do you know that if he had taken Onnoghen’s case and send a petition to the NJC and we all see what the petition contains, that’s the end of the man? But it was not done. He muddled the entire thing. What seemed to be a simple thing has now turned a complicated issue. The President or the Attorney General should have sent the petition to the right authority, and when they don’t work, you can now say, ‘you see, we sent a petition accusing Onnoghen on corruption but because he controls the NJC…’, but, mark me, the NJC or NBA would not have supported Onnoghen. The President’s action is a dictatorial exercise of power. And one which I think he designed to weaken Nigeria’s Constitution. President Buhari seems to have justified his claims that led to his suspension of the CJN by citing the interpretation Act. Do you share that view? We have to ask, what authority does he have to remove the CJN when the Constitution does not give him any such authority? There’s no point dragging this argument. The Constitution says you can remove the CJN if what he has done is reported in a petition sent to the National Assembly and the National Assembly says “I agree”. Even though they can’t remove him, they would now send their agreement report to the President who, at this point, would compel him to be removed. The framers of Nigeria’s Constitution were aware not to give power to one person. The way a CJN is appointed and the way he should be removed is distributed among the three organs of the government. 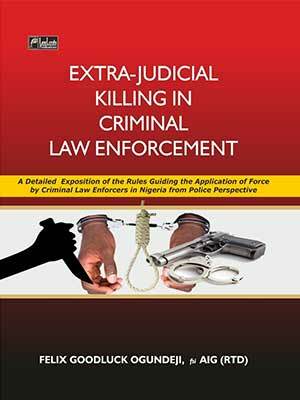 It is the NJC and the judiciary that recommends. What the Constitution did was to avoid making any Nigerian President a dictator. They distributed power to three organs, executive, legislature and judiciary. Then the judiciary itself, in order not to create a judicial dictator, can’t even control the appointment of its own CJN. The judiciary cannot say, we are going to make Olisa Agbakoba CJN, but they can only recommend. And the recommendation goes to the President. The President himself can’t even appoint. He can only say “I endorse it”. Then, finally, the Senate will appoint. Some lawyers have come out to say that no court can stop people from being arraigned before the CCT. Do you agree? I don’t also agree. The case of CCT; it has to be understood that we have different types of court. To make it simple, there are two types of courts: Junior court, we call it inferior court in law, and senior court, we call it superior court. The Constitution has designated the types of senior courts that we have: The High Court, the Appeal Court and the Supreme Court. They did not mention the CCT, and that’s the end of the matter. Every other court, whether it is the Tax Appeal Tribunal, Investment and Security Tribunal, the CCT or Magistrate Court, is known as junior or inferior court. They are not equal. But the problem which the lawyers have not mentioned, but I may understand why they are not saying so, is that the same Onnoghen and Saraki promoted CCT to a superior court wrongly. The Supreme Court can make mistakes and that was a huge error. Now it has come back to bite him (Onnoghen). Professor Nwabueze and I wrote a lot of opinions as to why a junior court cannot become a senior court but the Supreme Court ignored it. That’s why it is important that the decision that you give should try to be a correct decision. What they did in the Saraki case was absolutely wrong but it has now come back to bite Onnoghen. There were many cases challenging the arraignment of the CJN by people who were said to be busybodies. What does this say about the state of our judiciary? Nobody is a busybody Every Nigerian cannot be a busybody in respect of what concerns him. How the country runs concerns everybody. Every person who votes, pays tax is a responsible Nigerian who will have interest in how the country is run. Without getting into too many illegal issues, the days when they say “what is your own concern or personal interest?”, that type of law has since gone. My personal interest in whether Onnoghen has been taken to court is my business. The new word we use now is ‘sufficient interest’. I have ‘sufficient interest’ as a Nigerian; a Senior Advocate of Nigeria, a lawyer of 40 years in practice, and a tax payer to ask a question if I see our Constitution being broken. Some people say what is happening is more political than judicial and that it is targeted at the forthcoming elections. What is your take? I don’t have any evidence except that I am worried that this Onnoghen thing seems to be an old issue. Then, why was it suddenly an issue. But that’s not to excuse Onnoghen for the fact that if he has been declared as corrupted, but I am worried that a country that is so inefficient in all arms of government including the judiciary… Part of why I am disappointed in the legal profession is that our cases last forever. How can you have confidence when you come to me and your case is taken for 10 years to clear? The judges should be ashamed of themselves. The judges should see themselves as to inspire confidence. The judges and the federal government should work in a way that gives us confidence. You have come to Apapa to see how inefficient all the roads are. Apapa gives the federal government about N2 trillion a year through the Customs and import taxes, yet the road cannot be fixed in six months. Here, they can take Onnoghen to court, between Monday and Friday, he was charged and removed by the Chairman of the CCT who himself is facing corruption charges. So, why has his case, CCT Chairman, going to two years? The man who is going to try Onnoghen is himself facing corruption charges. For one good reason, I hope there’s not an attempt by somebody somewhere to make sure that the judiciary is weakened so that the outcome of the elections might be favourable if they have to be decided by the court. I hope you know that elections are very close. If INEC does its vote counting properly, there’s very strong likelihood that Atiku (opposition PDP candidate) could win. Buhari has always been strong in the North. For all the elections he has taken, he has a fanatical followership. That followership is not fanatical again because Atiku is from the North, Kwankwaso is from Kano and Tambuwal is from Sokoto. There are big northern players this time unlike all other elections. He will win the North but not the way he had been winning. He will lose in the South-East and South-South but for South-West, it will be ‘touch and go.’ I can say Buhari might win 60 percent in the North, Atiku, 30 percent, but North Central, Buhari zero. With all these, you can’t tell who will win. Politicians are very desperate. And it is well planned that in case Atiku wins, and the matter goes to the tribunal, he (Buhari) will control that court. We don’t have the evidence but that’s what some people are saying. The federal cabinet has about 12 lawyers who many people have accused of failing to act in the face of the assault on the judiciary. Where do you stand? If you are a lawyer, your oath is to the truth. Even if you are not a lawyer, as a citizen, whether you are a Christian or a Moslem, pagan or African religion worshiper, one thing that is common is that you do not lie. Vice President Osinbajo, who is a Senior Advocate, is sitting there. I am just wondering if something is wrong. Can’t he resign? Must he be Vice President? What is happening today is wrong. There are no two ways about it. Some public opinion says “eh, the man (Onnoghen) is corrupt, let him go”, but doesn’t Osibanjo know that it is wrong? Doesn’t Fashola (Works, Housing and Power Minister) know it is wrong? Doesn’t Malami (AGF) know it is wrong? All of them are Senior Advocates of Nigeria. What are they doing there? They should not be there seeing these things happen. You wrote a petition to the NJC on the Acting CJN and another to the NBA on the CCT Chair. Why and what do you hope to achieve? My petition is very simple, it says Justice Tanko Mohammed should not have presented himself to President Buhari to be sworn in as Acting CJN because there’s a rule in NJC; I was in NJC for five years, anything that is against the Constitution in relation to appointments must the with consent of judges, so says the law. At all times, the NJC recommends the appointment of the CJN and all other judges in Nigeria. Theodore Orji as governor was quarrelling with the Chief Justice and he removed his CJ and appointed an Acting CJ. Tanko Mohammed was in the panel that removed the Acting Abia State Chief Judge on the grounds of gross misconduct. He knows. How would he then go to President Buhari who can’t appoint him? Of course, did the NJC recommend you? No. So my petition to the NJC is to pay back Tanko on what he did to then-Acting Abia Chief Judge. That is my petition. I don’t see how the NJC would be far from Tanko Mohammed’s case when he dealt with then-Acting Abia State Chief Judge. There is no other way than for him to be removed. How do you think we can resolve the current chaos in the judiciary? I think what will happen is that Walter Onnoghen has to resign first, and now find a way of resolving his issues. I think the time has come for him to consider resigning. Not because he is guilty but because he may damage the reputation of the judiciary. It is better for the judiciary to stand than to bring it down because of one person. For Tanko, I think the NJC should persuade him to also resign or he will face the consequence. Unlike Onnoghen, he has contravened the Constitution. What will save the judiciary is for both of them to step aside and the next person in line takes over. I am not taking sides with anybody. Mine is just to speak and that’s what I have been doing for the past 40 years. What I do is to discus issues from the point of facts. Of course, why I said that Onnoghen should resign is not because he is guilty but just to save the judiciary. He still has an opportunity to clear his name. He can start fighting back to regain his integrity to prove to Nigerians that he did no wrong. He should resign because if he doesn’t, the whole thing is likely going to come down on his head. He should pursue his case and prove himself innocence. If you meet Buhari today, what will you tell him on the way out of this impasse especially against the backdrop that he has been called all sorts of names? If I meet him today, I will still tell him that he is a tyrant. He hasn’t changed and he can’t change. Nothing he has done has shocked me. This is a man that is wicked and he has demonstrated it severally. At age 76, I don’t think he has anything more to offer Nigerians. The best thing is for him to go to Daura and retire and save Nigeria from further decay. That’s what I will tell him.